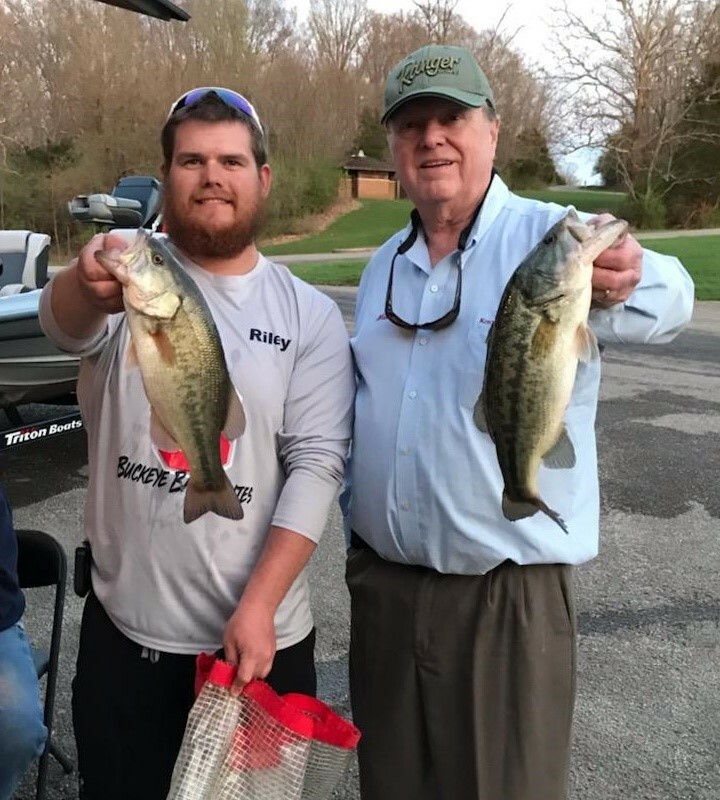 Tuesday Night Tournament is a bass fishing club that meets every Tuesday evening at the Caesar Creek Lake Wellman Meadows boat ramp near Waynesville, Ohio. The club's tournament season runs from April through September. The weekly tournament starts at 5:00 PM and weigh-in begins at dusk. WE WILL MEET AT THE WELLMAN MEADOWS RAMP. THE TOURNAMENT WILL BEGIN AT 5:00 PM. ARRIVE EARLY TO GET SIGNED-UP. Miles Johnson and Riley Yon took first place with 2 fish weighing 4.41 lbs. Rick Weston and Travis Willis weighed-in big bass at 3.54 lbs. Copyright © 2019 Tuesday Night Tournament. All Rights Reserved.